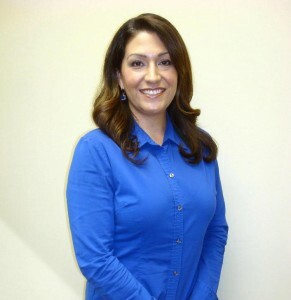 Rosanna started in the Escrow Industry in 1996 as a receptionist at Escrow Consultants in Century City. As most Escrow Officers do, she moved her way up to being an Escrow Officer in 2000 when the owner of the company retired. In 2005, she worked at GB Escrow in Venice and then moved onto California Investors Escrow in 2007. In May 2015, Rosanna opened Overland Avenue Escrow. She is known to place an emphasis on providing quality service by being timely and detail oriented. She provides her clients open lines of communication, is easily accessible, and goes the extra mile to make transactions as smooth as possible. Residential Resale, Investment Properties, Vacant Land, FSBO, Short Sales, 1031 Exchanges, Mortgage Refinance and Commercial. Rosanna is also an avid car enthusiast (especially 1960’s muscle cars). She owns a vintage 1968 Chevrolet Camaro that she and her husband have been modifying over the past several years. The car has been entered in many local car shows and has won several awards for its performance and originality. I’ve had the pleasure of working with Rosanna Padilla and Overland Ave Escrow from day one my experience has been wonderful. Her knowledge and professionalism is second to none. She gets things done in a timely manner, and more than anything she is honest. We’ve closed multiple transactions together in the last 8+ years and my clients always remember how smooth their escrows went and talk about it to this day! I couldn’t recommend Rosanna and her team at Overland Ave Escrow enough! Rosanna Padilla is a true professional and has been my escrow officer of choice for many years. She is extremely knowledgeable......a problem solver....detail oriented......personable.....courteous with all of my clients and patient in explaining all documents and procedures of escrow with them. I can always count on opening an escrow with Rosanna to be a smooth transaction. I have worked with dozens of escrow companies during my 15 years in real estate. My experience with Rosanna has always been professional, communicative, and a pleasant surprise. My clients feel the same way. They may dump me but they still request her. Two examples… She stayed until 9PM on a Friday to get my buyers in under the wire, and she drove to a convalescent home in Pasadena on a Saturday morning to get my seller to sign crucial documents requiring a notary. I'd take a bullet for that woman. I have ALWAYS considered Rosanna Padilla to be my favorite escrow officer. In all of my negotiations, I have always fought to make sure that she’s on my team. Over the last 15 years, she has handled more escrows for me & my clients than I can count off the top of my head. In addition, I have several clients who are investors/developers, as well as other agents, who have worked with Rosanna and then requested that she handle all future transactions. - Rosanna is extremely competent, ethical, & knowledgeable. - After opening an escrow, some escrow companies will delegate you to an assistant, but I have never had trouble calling & speaking to Rosanna directly. No matter how busy she may be, in all conversations & dealings, she always makes me feel like my transaction is her only open file & highest priority. She allocates plenty of time to discuss the matter at hand. - Most importantly, Rosanna is extremely calm under pressure, especially when a crisis pops up at the last minute. Where many people in our industry resort to drama & "the blame game" when problems arise, (usually to cover up for their own lack of knowledge or experience), Rosanna is steady, calm, & focuses on getting the job done. Since escrows involve coordinating the efforts of multiple parties, all closings have potential problems. An escrow officer can make the difference between a smooth closing and a bad one. In short, I highly recommend Rosanna Padilla without hesitation. She sets a standard that all other escrow officers should aspire to meet.